'Possum Park' is ideal for church camps, family re-unions, and safari groups. Can't you just see the look on their faces when they discover that their mystery tour is to a 'Possum Park'! This is the perfect destination for a truly unique, self catered day trip or overnight stopover - and for groups, David & Julie's guided tour of the historical site is a real conversation starter. 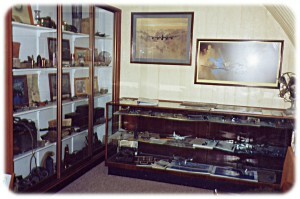 No visit would be complete without taking in the historical display and souvenir shop. 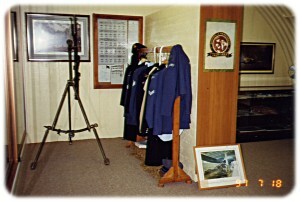 Incredible wartime memorabilia will bring to life the unique and pivotal role that this place has had in Australia's history! But remember, this display is only open to groups upon request! There's also an underground games room, and troop train library and video room. Places where old friendships are cemented, and new ones created! 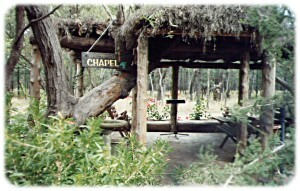 If yours is a spiritual retreat, some quiet time in the rustic bush chapel will help the soul catch up with the body. You know, regardless of where you are or where you're going, 'Possum Park' is for you!